When buying a car in Nebraska, you must obtain certain required paperwork from the seller in order to register and title your vehicle. If you buy your car from a dealer, they will normally process the required paperwork on your behalf. However, if you buy the car from a private seller, you will need to visit the Nebraska Department of Motor Vehicles to register and title the car in your name. Continue reading this article to get more information about the paperwork required when buying a car in Nebraska. A notarized bill of sale. Both of you must sign these documents. If the vehicle you intend to purchase is less than 10 years old, you must obtain a signed Odometer Disclosure Statement from the seller. This document certifies and verifies the mileage of the car. If the vehicle’s odometer reading is not determined, request the seller to list the reading as either ‘Exceeds Mechanical Limits’ or ‘Not Actual’. You will have up to 30 days from the day of vehicle purchase to register and title the car. If you purchase the vehicle from the dealer, they will handle the required paperwork on your behalf. The Nebraska Division of Motor Vehicle provides a detailed outline for applying for a bonded title. Contact their Driver and Vehicle Records Division customer desk at (402) 471-3918. 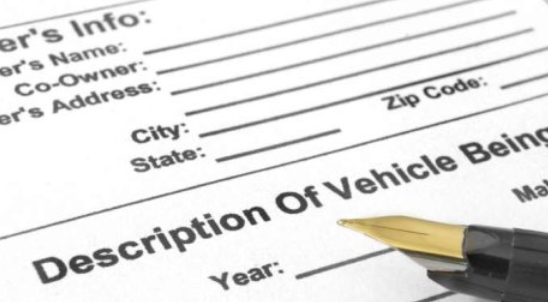 A bill of sale is required when registering and titling your vehicle. A Vehicle History Report is not required when registering or titling your newly purchased vehicle in your name. However, this document is important as it provides detailed information about the car you are purchasing. It contains information such as accident history, damage history, repair history and other vital information. By requesting a vehicle history report, you can also get the correct odometer reading for the car you are purchasing.